While the status of the brick-and-mortar industry may be the catalyst for presenting a unique real estate opportunity, the most successful deals hinge on the forward-looking resources and combining the owner’s vision with the right construction/design expertise and due diligence on the property itself to identity any costly or logistical hurdles in getting to the desired result. 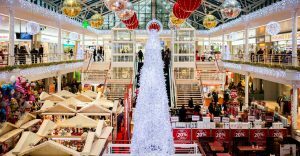 Buying and selling shopping centers has become increasingly common in recent years—as the brick-and-mortar retail industry looks for a way to save and reinvent itself in the face of Amazon and other e-commerce systems. For the longest time, the conventional wisdom was that shopping centers were an incredibly low-risk real estate investment because the tax incentives offered by local authorities were so attractive. In fact, this practice is probably artificially prolonging the existence of large-scale, increasingly empty shopping malls. These incentives haven’t really changed. If anything, they’ve metastasized to other types of commercial real estate. The thing is they’re no longer enough. Not to make a decent profit. If you’re thinking about buying a dying shopping mall or retail center, you may have plans for a major facelift or a wholesale transformation of the property outside of the retail sector. There are plenty of examples of modern-day shopping centers that are thriving as a destination for all kinds of entertainment and consumer services. Then, there are also plenty examples of shopping centers that have, in fact, died only to be resurrected as something else entirely—corporate headquarters/office space, luxury apartments, medical centers, among others. Given the sagging market large-scale retail centers vs. other types of commercial real estate, many real estate investors are looking at poor-performing retail locations more as blank slates than any direct investment in the brick-and-mortar retail industry. Indeed, these wholesale turnovers help explain why a depressed market like brick-and-mortar real estate can nevertheless, be an active market. Many commercial real estate investors with ties to the retail industry are getting out, while a different crop of investors moves in to deliver a new generation of consumer services and a new vibe for the public marketplace. As such, it’s no surprise then that buying a failing shopping center can be a high-risk/high-reward proposition. It can take quite a bit of investment capital to remake a shopping center, but whether it’s a new kind of marketplace, a new kind of residence, or a new kind of medical center, shopping center venues that can begin to reclaim most of their appeal as a site for hosting large numbers of people are often able to generate an attractive ROI. While the status of the brick-and-mortar industry may be the catalyst for presenting a unique real estate opportunity, the most successful deals hinge on the forward-looking resources and combining the owner’s vision with the right construction/design expertise and due diligence on the property itself to identity any costly or logistical hurdles in getting to the desired result. This is true whether you’re looking to stay in the retail space with a modern shopping center design or whether you’re looking to head in a new direction altogether. In a nutshell, Exclusive Real Estate Agents may not be able to do anything about the trajectory of the retail industry and how Americans do their shopping, but we can help you determine the possibilities and fair market value for buying a shopping center in today’s market.